Olly asked us to do a ‘little’ job for him. Of course we agreed! 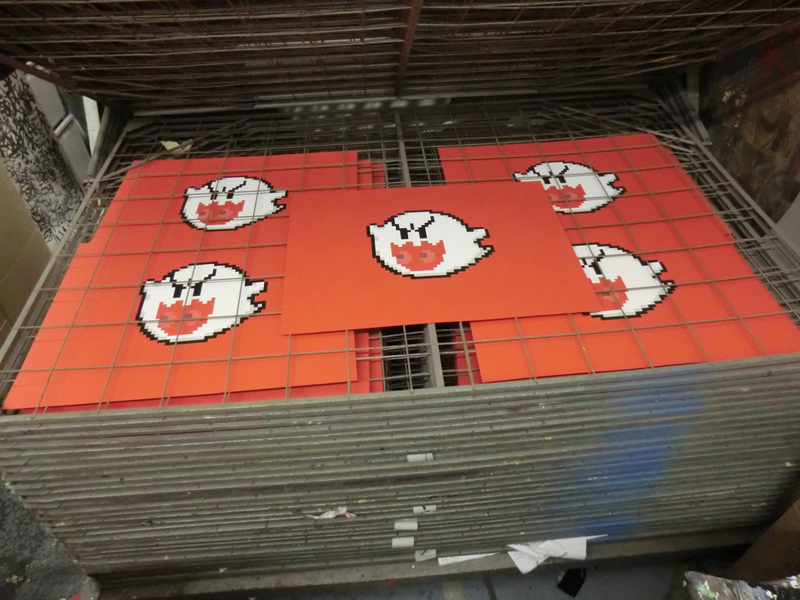 He was planning on doing a timed release (ie: making the prints available for one hour only), therefore the numbers of sales dictates the edition size, this way – everybody who wants one gets one, nobody misses out. He estimated something in the region of 100 – 150 prints. 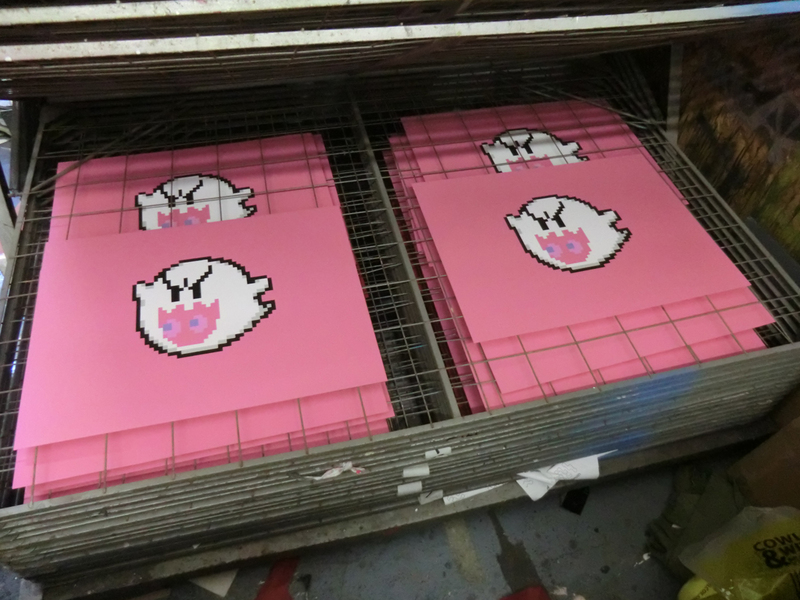 He’d drastically underestimated how popular these would prove to be, within an hour he’s sold 825 prints. So we set to work, each print was 5 colours, printed on GFSmith Colorplan paper, needless to say it was a busy week – ‘blisters on blisters’! 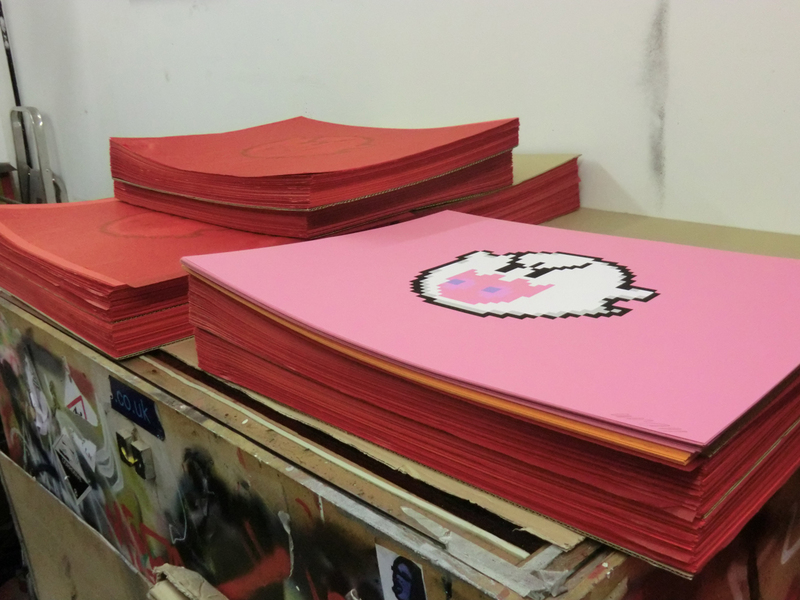 This is what 825 prints looks like. 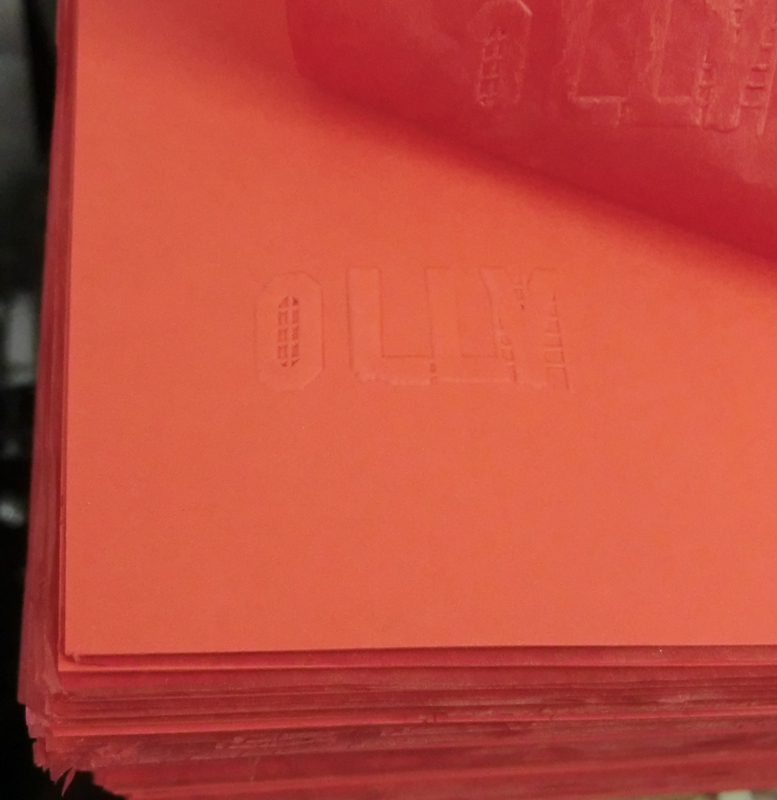 As well as printing, we had an Olly embossing stamp made up. 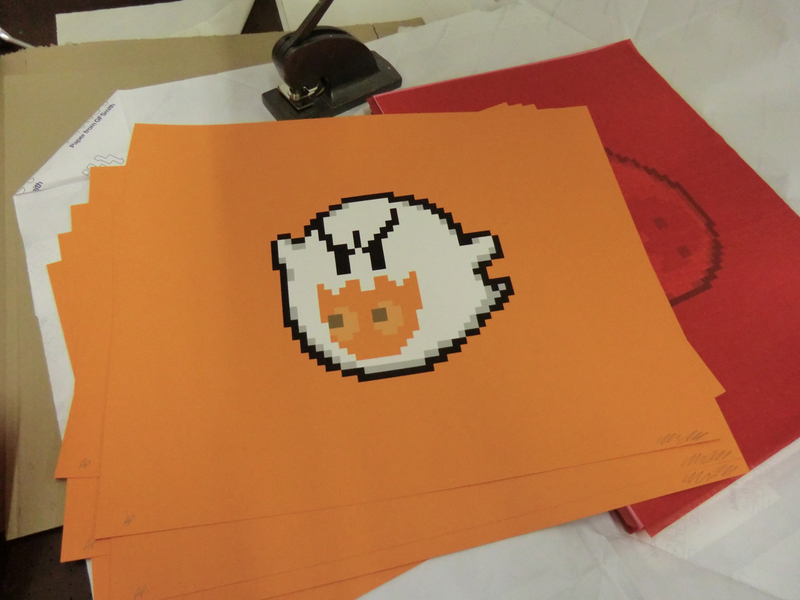 As well as print, stamp and process the orders, we also arranged shipping and packing.